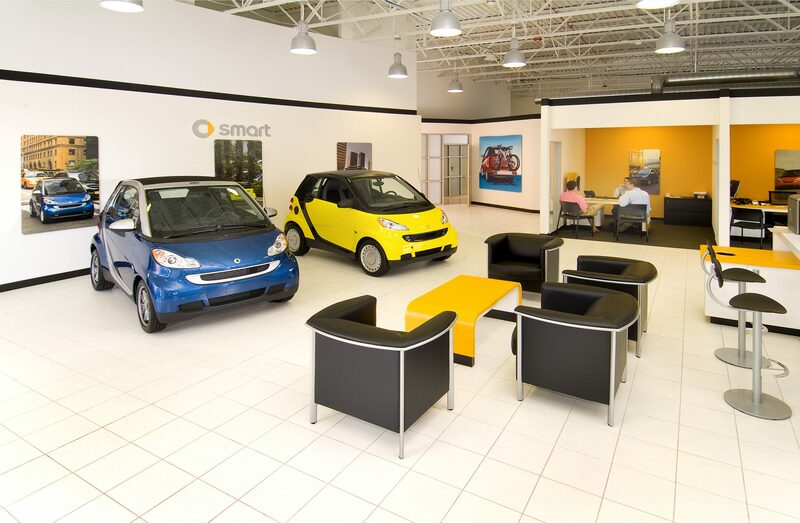 One of the most innovative new products on the market, the Smart Car made it’s debut in the United States in January, 2008. 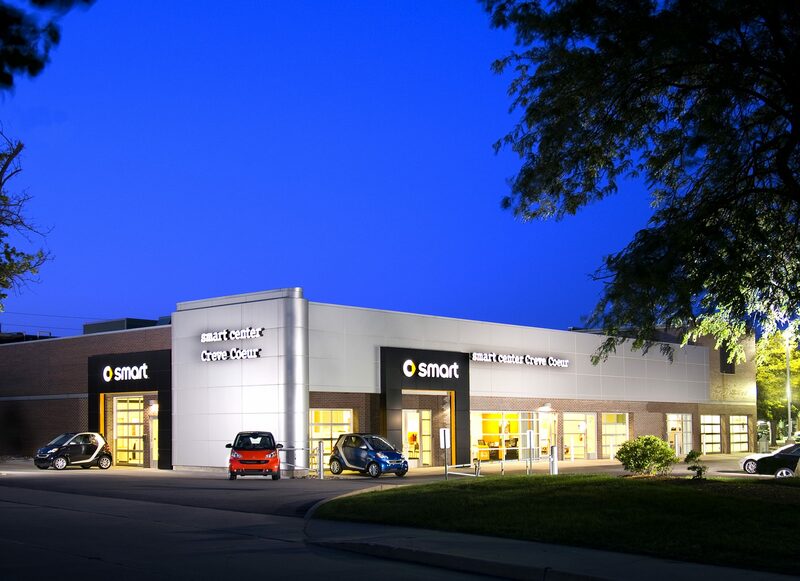 In order to prepare for the arrival of the exciting new product, Plaza Motors challenged TR,i to create a space within the existing Mercedes-Benz facility for the new home of Smart Center Creve Coeur. 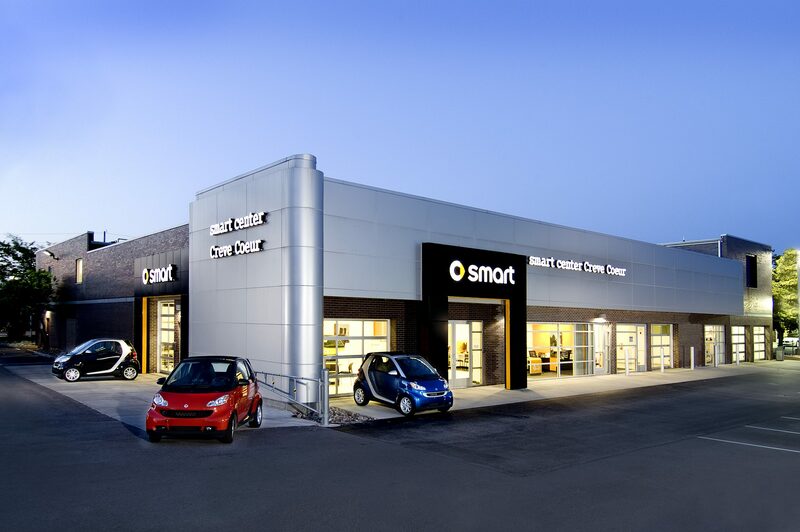 One of only 68 Smart Center showrooms throughout the U.S., the new showroom needed to be a worldwide statement on innovation, intelligence, functionality and the simple joy of driving. 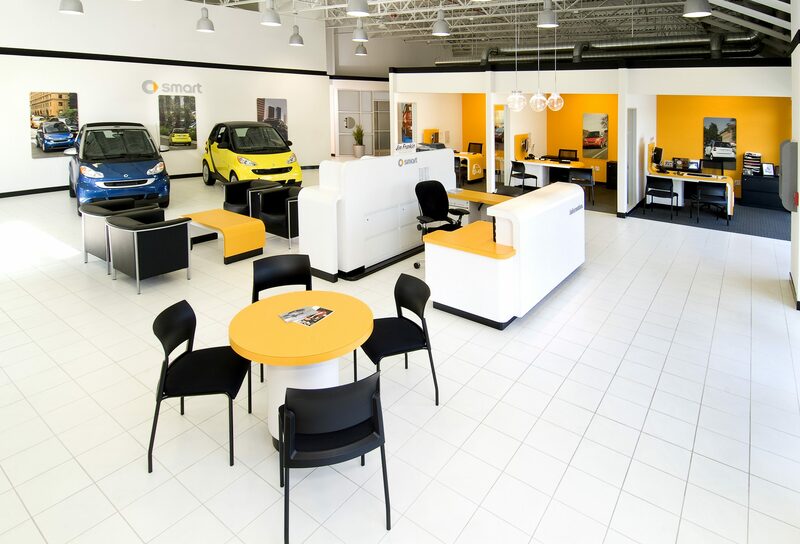 Incorporating the corporate facility image standards, the inside of the modernistic showroom is painted a simple flat white, accented with yellow, black and gray. 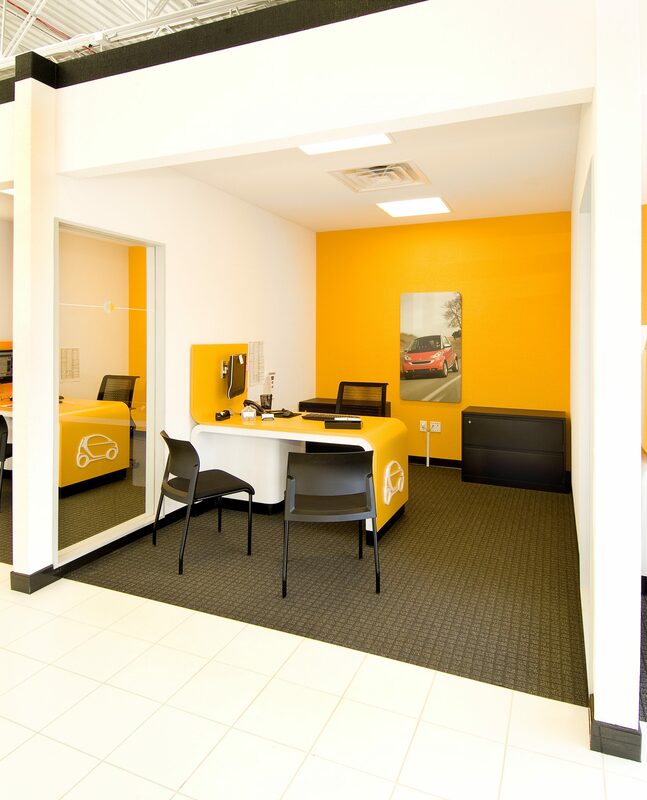 Two new entry portals provide customers with clear direction to this unique and innovative new environment.